What kind of IT background do you have, and how did you and our CEO David meet? I recently graduated from the Cégep régional de Lanaudière in Joliette, and so most of my experience in IT so far has been as an intern. In fact, that is how I met David and came to know of Devolutions. This is my first professional role as a programmer, and I couldn’t be happier! The atmosphere here is cheerful and friendly and everyone is really supportive. I’m really fortunate to have the chance to work with such great people! I can see right away why the company has been certified by the Bureau de Normalisation du Québec as an outstanding employer. Right now, my job mainly involves improving the modules and Remote Desktop Manager. As for tools, I primarily use Visual Studio 2013 with ReSharper, all in .NET Framework with C#. What kind of music do you like, and what is your favorite movie? 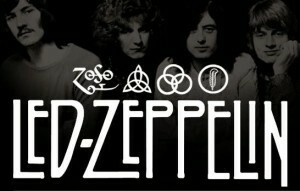 I love listening to classic rock, such as Led Zeppelin and Pink Floyd. I also like metal, including Metallica and Killswitch Engage. And I listen to jazz, such as Marcus Miller and Hiromi Uehara, and electronique, including Pendulum and The Prodigy. And my favorite movie is Momento by Christopher Nolan. The success of Devolutions and the fact that it is adding new people is because of the community of users, which is booming around the world. The amount of suggestions and input is just amazing, and I’ve even had the chance to implement some of them already – and I just started! I can’t wait to get more involved and work with some really talented people in our community. Keep those suggestions and ideas coming! Arrow_Left_MediumMeet our Newest Software Developer (Android) Nicolas Dufour!